Existing perception and literature around Cleaner Label are largely Western and centred around personal health benefits e.g. reducing sugar, salt, fat etc. However, Cleaner Label for many consumers in Asia-Pacific, the Middle East, and Africa (APMEA) is much more than just that; consumers are also concerned about other aspects, such as food safety and scandals, sustainability and environment degradation. This webinar will explore the full landscape of Cleaner Label in APMEA, with specific opportunities in claims around trust and local provenance. A complimentary insights report will also be made available during the webinar.. Inspired by the power of ‘Change’, Avinash is driven to bring in new thinking and tools to future proof the business and build lasting competitive advantage. He is an experienced strategic thinker, with strong commercial acumen and extensive experience in Insights, Analytics, Business Strategy, Marketing Strategy and Brand building. He has worked agency-side, client-side and as a consultant, in local, regional and global roles. His experience cuts across multiple categories including FMCG, Health & Wellness, Automobiles, Luxury, Oil and Gas, Financial Services and Technology. 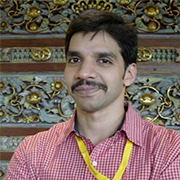 Avinash has a Bachelors Degree in Law and a Masters in Business from the National University of Singapore. Jeremy leads the development of Kantar Consulting’s innovation offer globally, and is a partner in our Southeast Asia office in Singapore. 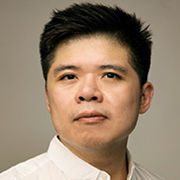 He is a seasoned futures, innovation, marketing and communications strategist, with over 20 years’ experience across the United States, the United Kingdom, Australia, China and Southeast Asia. Jeremy’s work focuses on helping clients identify future-proofed opportunities for innovation, and then managing the process that leads to business-building solutions. Jeremy’s work at Kantar Consulting has included engagements with clients like Meat & Livestock Australia, Philip Morris International, Heineken, Diageo, Nestlé, Unilever and Globe Telecom. Jeremy grew up in the Philippines and holds a B.A. from Harvard University.